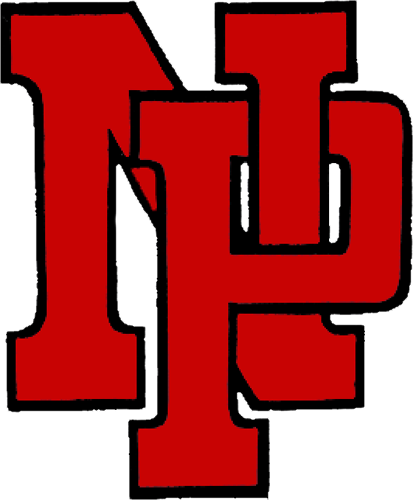 Six New Palestine athletes have signed letters of intent to play collegiately Wednesday during the fall signing period. 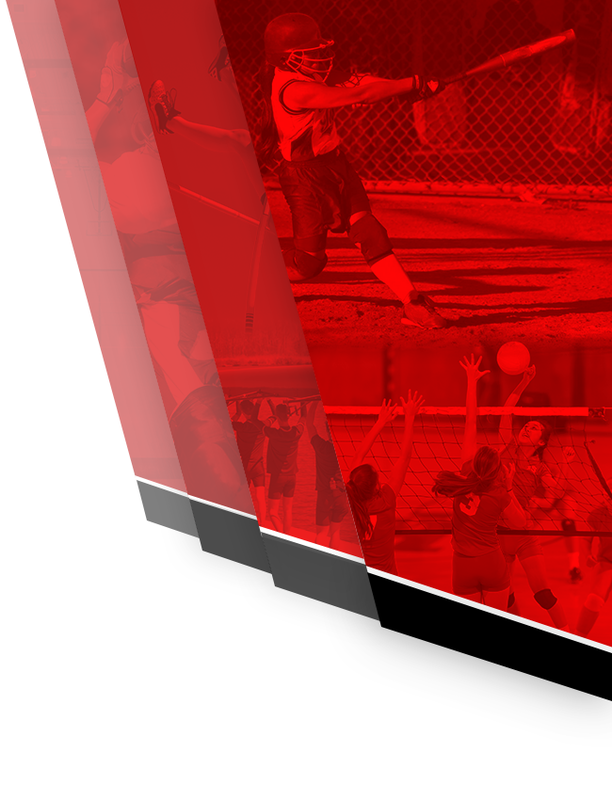 Five are members of the Dragons’ state championship softball team. 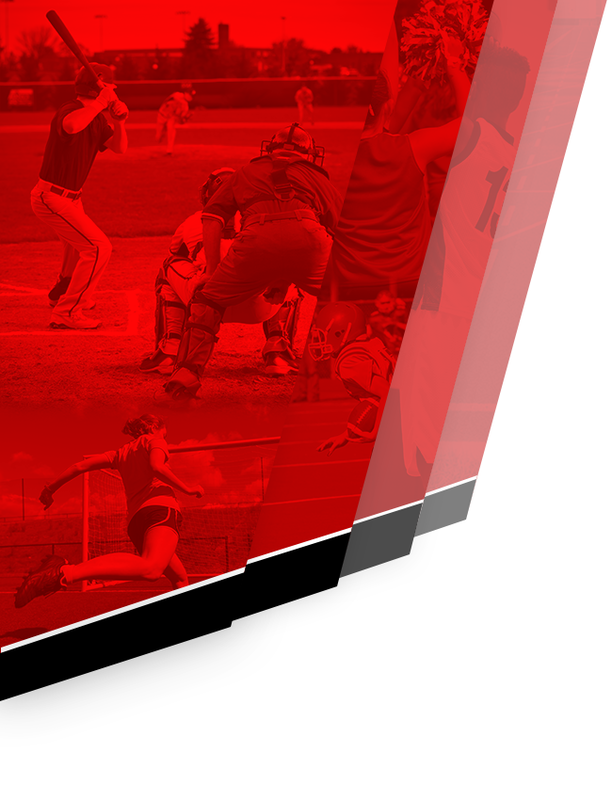 The others are members of the Dragons’ two-time sectional championship soccer team and the HHC champion baseball team. 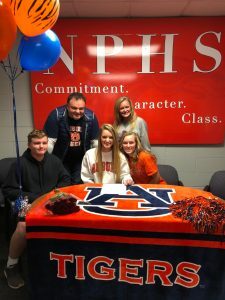 Jaylin Calvert signed to play softball at Auburn University. Tete Hart signed to play softball at Indiana University. She will graduate in December and compete for the Hoosiers in 2019. Olivia Lambdin signed to play soccer at Bethel College. Emily O’Connor signed to play softball at the University of Indianapolis. Emma Tucher signed to play softball at the University of Southern Indiana. Jack Walker signed to play baseball at Indiana University. 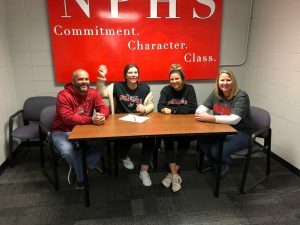 Softball player Emily O’Connor signs to play with the University of Indianapolis. 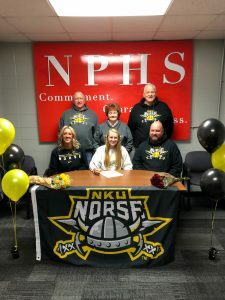 Softball player Tatum Biddle signs to play at Northern Kentucky. 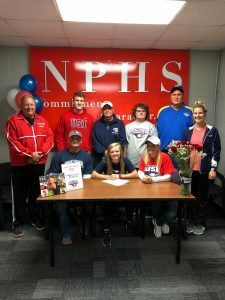 Softball player Emma Tucher signs to play at Southern Indiana. Softball player Jaylin Calvert signs to play at Auburn University. 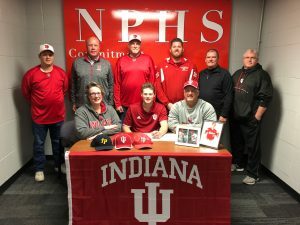 Jack Walker signs a letter of intent to play baseball at Indiana University. 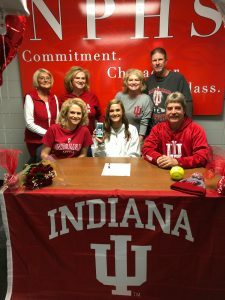 TeTe Hart signs a letter of intent to play softball at Indiana University.